BLEFT stands for Blended European Forestry Training. This Erasmus+ project received a European grant of approximately 235,000 euros and brings together a total of 7 partners from five different countries. For three years these partners work together creating online learning modules for forestry professionals. Those gather the most up to date knowledge on specific forestry subjects from home and abroad. The modules consist of blocks of easily comprehensible learning material in different formats. 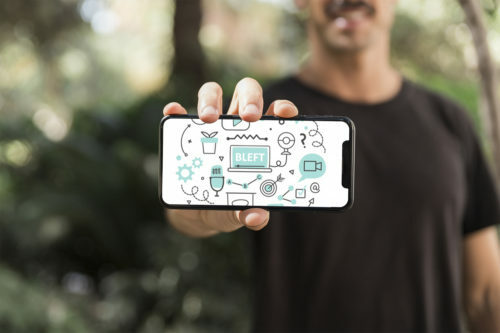 With this innovative learning method, BLEFT wants to reach as large a group of professionals as possible. As the internet is not the comfort zone of our target audience, there are important challenges here. Not only in detecting the needs of the forestry sector. But also in training the experts who will translate their knowledge into online content. Guidelines in the form of text and instruction videos form the framework for the further development of online learning modules. During the course of the project, more information will be added to this page. Das Projekt wird im Rahmen des ERASMUS+ Programmes aus Mitteln der EU finanziert..